This post has been sponsored by Hometown Harvest, who treated me to a free small bag of produce to try in exchange for writing this post. As always, all opinions are my own. Everybody wants to experience optimal health, right? So many of us do as much as we can to assure that our bodies are nurtured so that we may enjoy a healthy, fulfilled life. In this day and age of hustle, hurry and lets-make-more-money-so-we-can-keep-up-with-the-Jones’, convenience becomes a necessity. 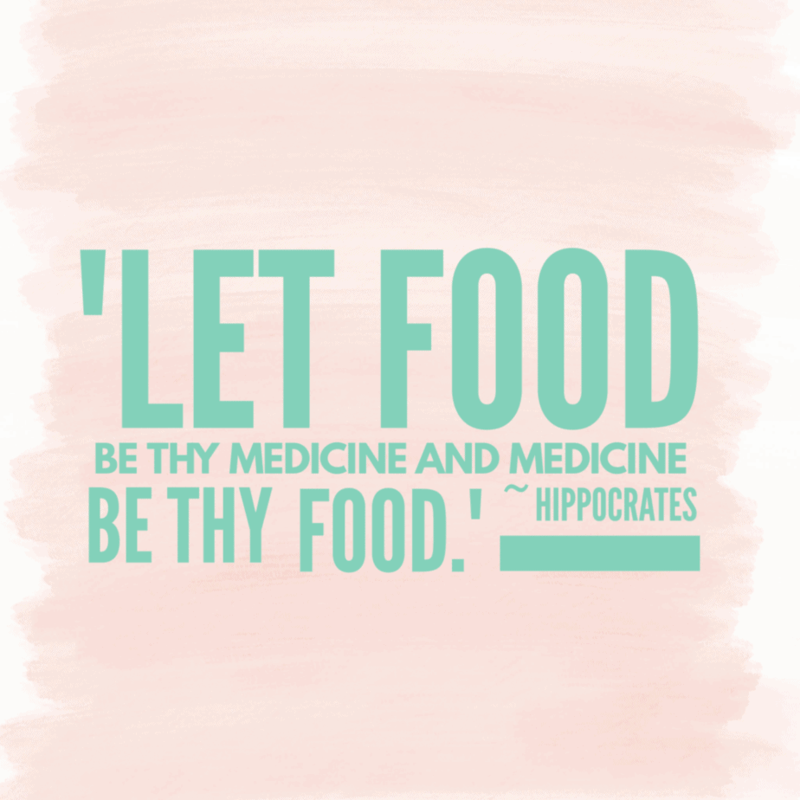 Hence the success of fast food and “convenience food”. But, unfortunately, most of the time this convenience food is unhealthy for our bodies. Without going into the gory details, we know that fast food and processed foods contain lots of “stuff” that our bodies don’t need – with some of these ingredients even being harmful to us! So, what is a person to do if they can’t seem to find the time to fuel his or her body properly? Well, this is where my discovery of Hometown Harvest comes into play! 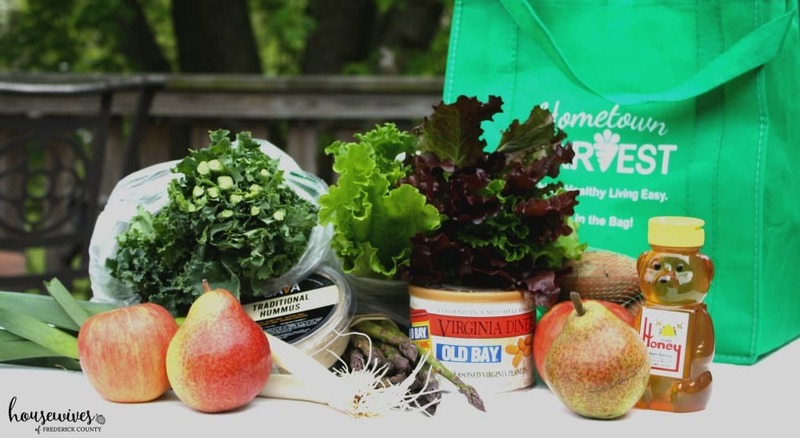 Locally-grown, organic, farm-fresh food delivered to your front door? It seems too good to be true. But, when I heard about this service I just HAD to experience it! I’ve been wanting, for so long, to switch over to more organic, good-for-you foods. You know – the food that hasn’t been messed with before it even lands in the grocery store. I’d prefer my fruits and veggies without pesticide residue please. Oh, and I’ll pass on the GMO’s (genetically modified organisms) and the growth hormones in my meat! In June 2009, we worked with just a handful of growers and made 250-300 home deliveries every week. Now four years later, we are approaching 1,000 homes, several workplaces, working with more than 150 trusted farms in our area. 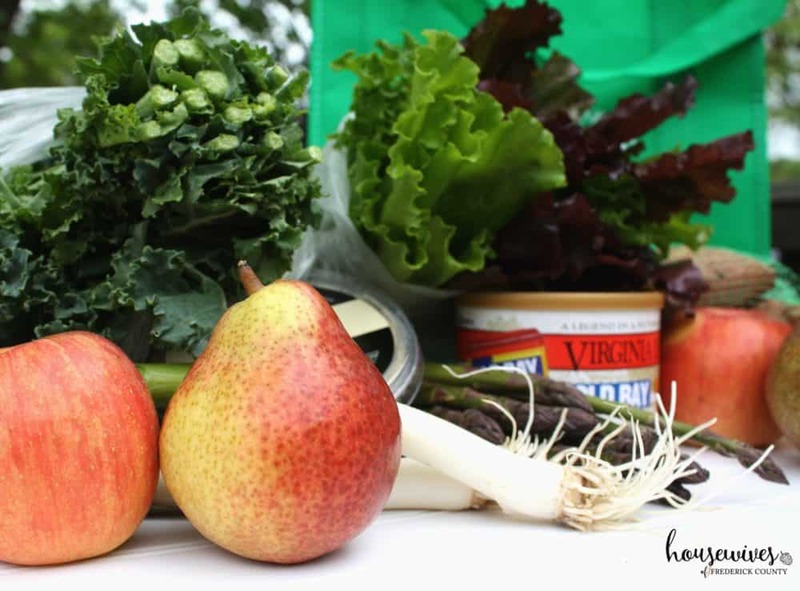 Working with so many farmers allowed us to offer a wide variety of different fruits and veggies. Our delivery areas expanded to include counties in Maryland, Virginia, and DC. We now have four full-service “Veggie Vans”. If you go on their website, and click “shop” you’ll be able to see the great variety of locally grown produce, 100% grass-fed (not grain-finished) beef from pesticide-free pastures, cheese from local cheese producers, pastured eggs and SO much more! My first order consisted of one small bag of produce (6-8 portions of seasonal produce – I got apples, asparagus, spring onions, kale, Red Oak Leaf lettuce, Red Bartlett pears, and sweet potatoes), one carton of large eggs, one 12 oz. 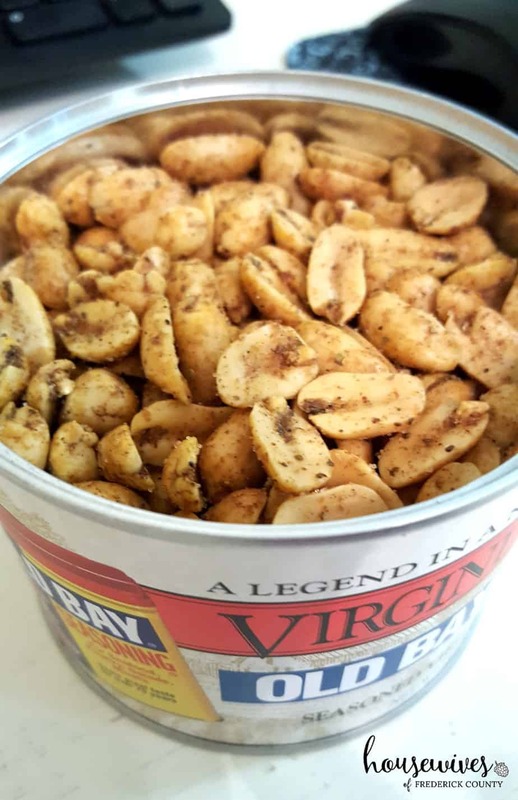 “bear” of clover honey (local honey is great for fighting seasonal allergies), a can of Old Bay Seasoned Virginia Peanuts (oh my goodness these were good!) 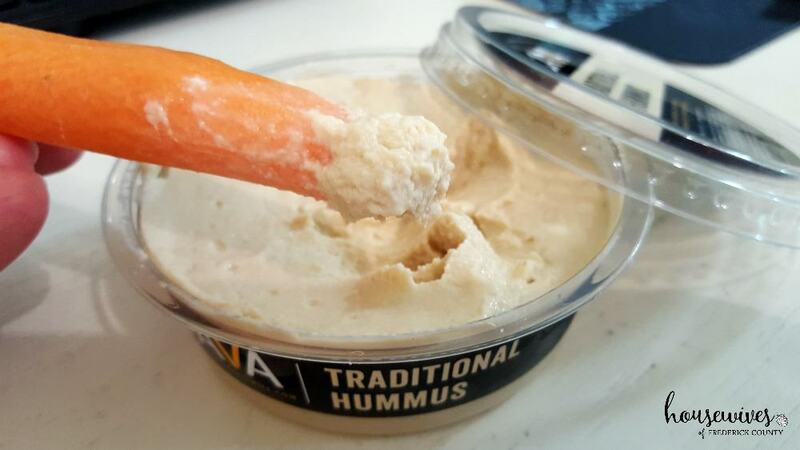 and one container of traditional hummus (SO good!!!). Everything was just as I expected – fresh and delicious! All I had to do was create an account and then they will send me an email reminder about when I should have my next order in for the following week’s delivery IF I want to place an order. If I don’t, that’s fine. No membership fees, no commitments. On delivery day, they ask that you set out a cooler in front of your home the night before, because they deliver very early in the morning. So, first thing in the morning, we opened our door and there were our goodies! !